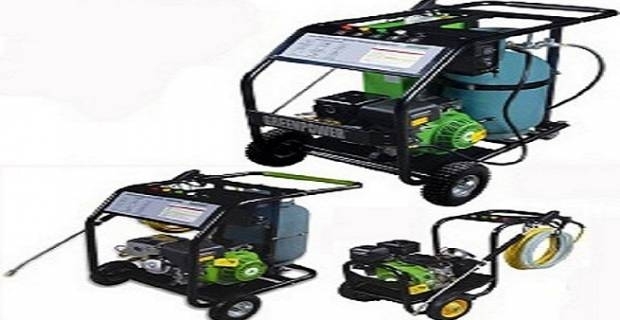 Pressure washers have enjoyed an increase in sales in recent years largely because they make your life a whole lot easier and save you alot of time. The best pressure washers enable you to do professional level cleaning without the need to hire a cleaning company. But, how exactly do pressure washers work and what are their benefits? Pressure washers have a system that increases your standard tap water pressure more than 100 times. This makes it possible for you to remove stubborn dirt and grime from your patios, garden paths and even your car much easier. If you use a detergent together with your washer the results are even better. Some key benefits of using a pressure washer over ordinary cleaning methods like the use of a hosepipe are that you complete the job faster, use less water and consequently save money on your water bill. Just to help you decide which pressure washer to buy, we have put together a list of two of the best pressure washers in the market based on factors like flow rate, hose length and storage for attachments and leads. The Karcher K6.610 beast is a big and imposing pressure washer that packs a serious punch when it comes to power performance. The pressure washer from Karcher has a nice, long washing lance that produces an even splash without too much needle jet that could potentially cause damage. The washer also comes with a solid hose reel that works pretty well with its handy detergent controls to provide precise guide. Although the washer's removable shampoo reservoir is notorious for leaking and its power cable storage can be a nuisance, the Karcher K6.610 Beast is still one of the best washers in the market. Significantly, Karcher throws a useful patio cleaner in the package when you buy the pressure washer. Closing our list of best pressure washers is the Hozelock Heavy Duty 150, which does everything you would want a pressure washer to do. It has ample on-board storage for its twin lances, two soap reservoirs and a five-metre power cable. For ease of use, the Hozelock has a rear-mounted reel that enhances maneuverability when handling the long hose. Best of all, perhaps, is that the Hozelock has a decent motor punch and comes with a relatively modest price tag.